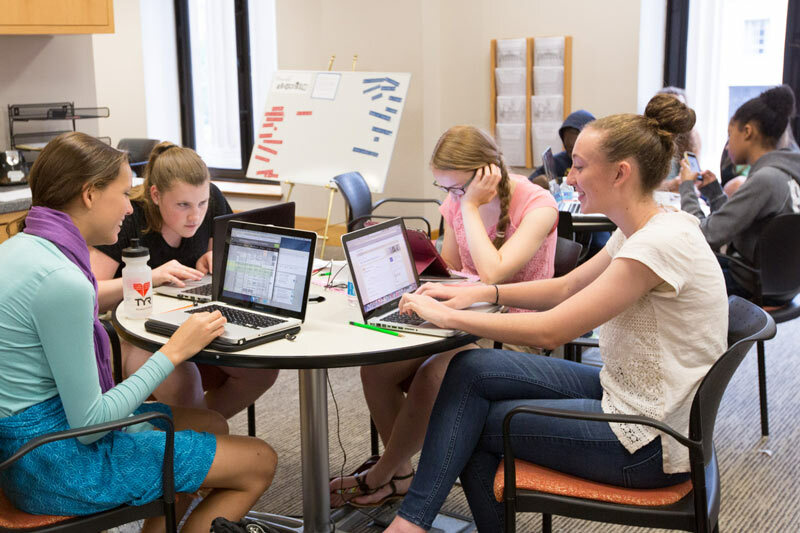 Use these materials to get the most out of DocsTeach. When we ask students to work with and learn from primary sources, we transform them into historians. That's the idea behind DocsTeach. It's the first step in working with primary sources. 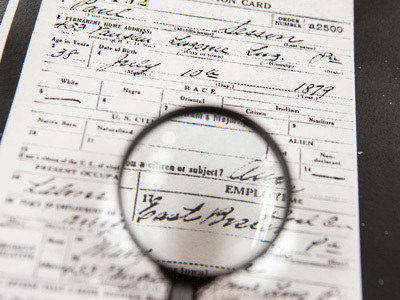 Teach your students to think through primary source documents. 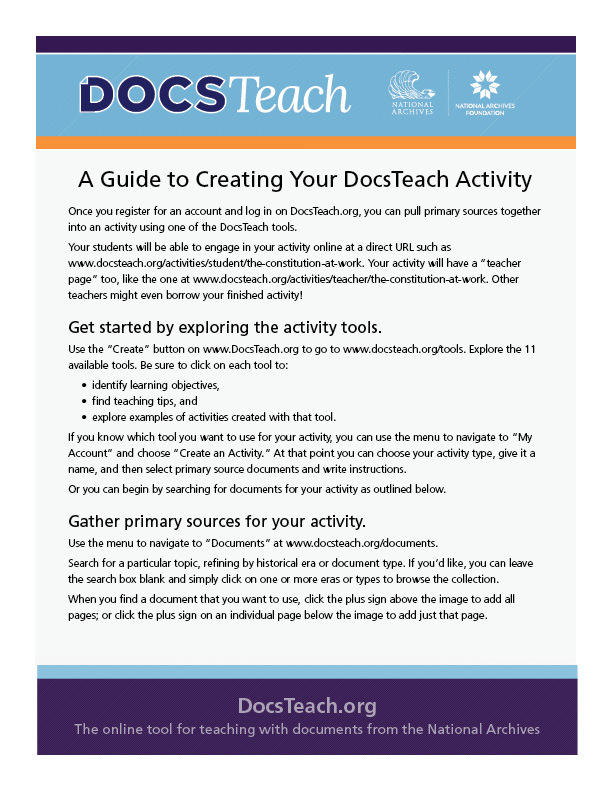 Follow our Guide to Creating Your DocsTeach Activity to create your own activities using the Activity Tools. Find handouts to distribute if you're giving a DocsTeach presentation or workshop. 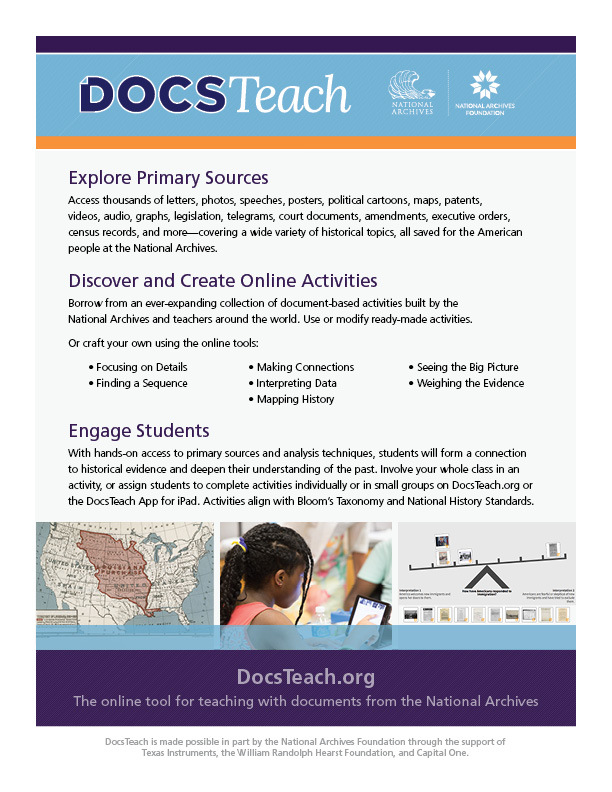 Find out more about using the DocsTeach app for iPad to share primary source-based learning activities with your students to access on their iPads.